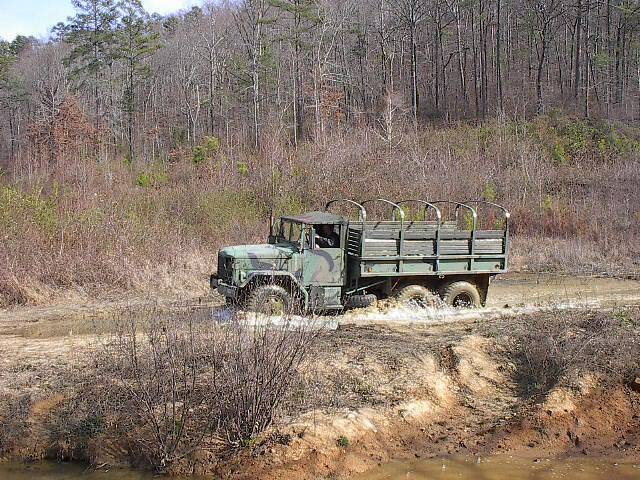 Home » ATHS Discussion Forums » Tech Questions and Tips » What Is Better for Step-Vans: 3-53 Detroit or 4BT Cummins? Does anyone know what is the better engine for a Step-Van parcel/delivery van (e.g. Ford P-3500/4000/5000, Chevrolet Step-Van/GMC Value-Van)? Detroit Diesel 3-53N or Cummins 4BT? Therefore, I do have some thoughts on the 1967-76 Chevy Step-Van and GMC Value-Van twins: did they ever use (in other words, were they ever cataloged with?) the D-351 Toro-Flow diesel engine (or the previously mentioned Detroit Diesel 3-53) mated with the Allison AT-540 (MT-31 prior to 1970; aka AT-545 in the '80s) series transmission? Ben, the bus in the video had a 6V-53 not a 3-53. Big difference in sound. I think the 3-53 will be a little heavy and a little lazy and I'm not sure if you can crank them up to 2800 or 3000 like the 6V53. Dan would know. I put a 2-71 in a '66 C10 step side just for the fun of it. I had a fifth over and it was really lazy and slow but a lot of fun. I used to run a lot of 4BTA's with AT-540's, great combination. Used to get 12 to 15,000hrs out of the Cummins and averaged 4,000hrs out of the AT-540's. Had a couple of 3.53's and they weren't in the race, apart from the noise they had too many moving parts. Proud to be South Australian. Special interest in White, Kenworth W, Foden, Scania, GMC model K., Diamond T 950. I know the bus has the 6V-53, but... the 3-53 sounds somewhat alike, just like the 4-71 and 8V-71 and the 6(V)-71 and 12V-71. Ben-----You know the 3-53 step van application is old history ,and with about a 27 year advantage in technology ,it's 4BT hands down . I was taught the only way to compare engine performance was from the torque standpoint . 3-53N had 216 lbs. ft.@1500,101HP@2800 and weighed 980 lbs. back when they were available ......4BT had 260 lbs.ft. ,105 HP@2500 ,and weighed 744 lbs. back in 1984 . you make up the difference in road speed with governor adjustment,transmission ratio change,differential ratio change or a combination of those variables . It would depend on what you are hauling, bread or potato chips. I installed a 3 53 in a chevy pick up years ago for my son and it was never quite enough for a peacefull drive. With a silincer on the air cleaner and exhaust to the rear bumper and insulation in the cab it was a racket that only a truck driver who learn to like.A city police stopped me one day and told me he only wanted to look at the engine. He said he sees it all time in town when my son was only driving it to shool 8 miles from town.Or i though so.